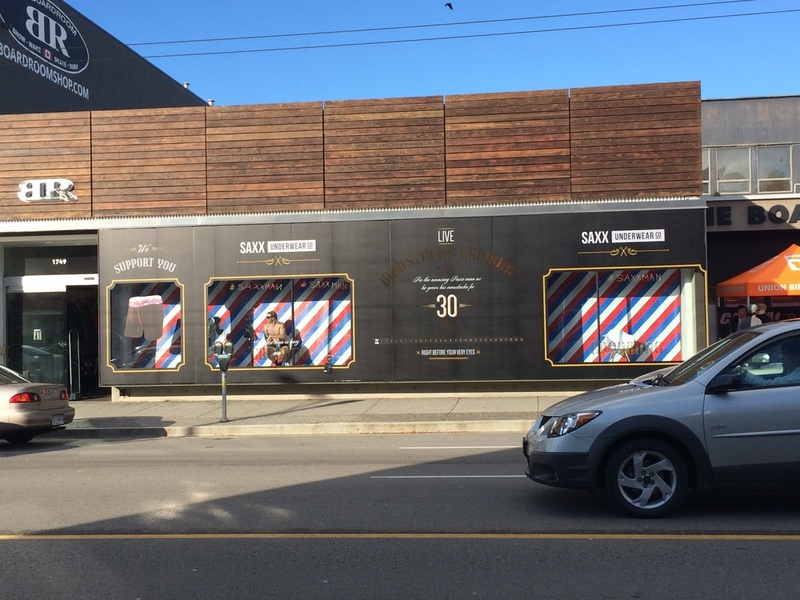 on West 4th then you have most definitely seen the #saxxman sitting in the window wearing nothing but a pair of Saxx underwear! Yes ladies, this one is mostly for you haha! He will be there for 30 days growing his Movember facial hair and surprising people passing by. Each day they will be putting up a polaroid showing the change in his Movember stache. 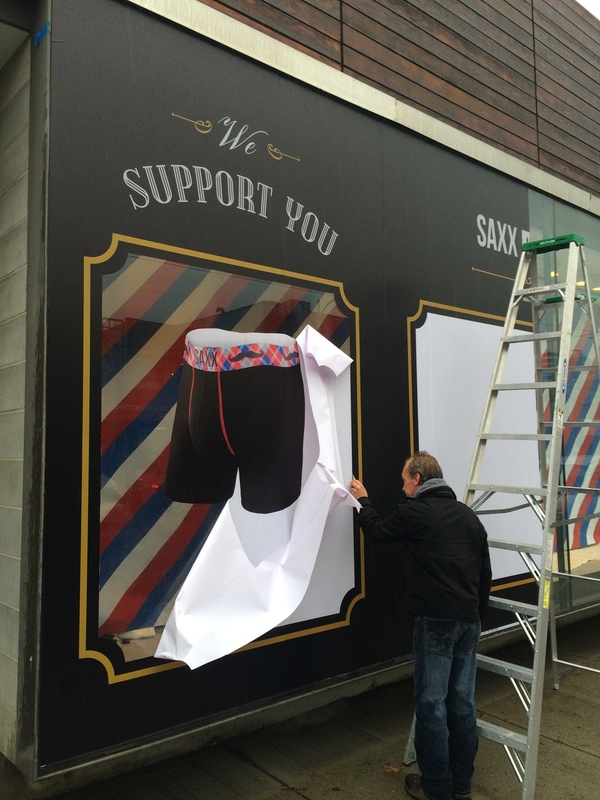 If you go by the display, take a photo or write on the window (there are pens provided) and tweet/post/pin/etc #saxxman and tag @saxxunderwear @blastmediaprint your experience with the Saxxman. We've already seen girls leaving their phone numbers on the window and ladies coming back to take a double or even triple take! You can even enter to win a date with the #saxxman on week 3. That dinner will take place in the window as well!
. Check out all the details at the link below. $2 for each underwear sold goes to fight cancer and The Boardroom is matching $2 as well. For this window display we used matte black vinyl with printing on it and gold foil letting which is really awesome to look at. This window display looks great along with all the other pieces we used to create their vision. 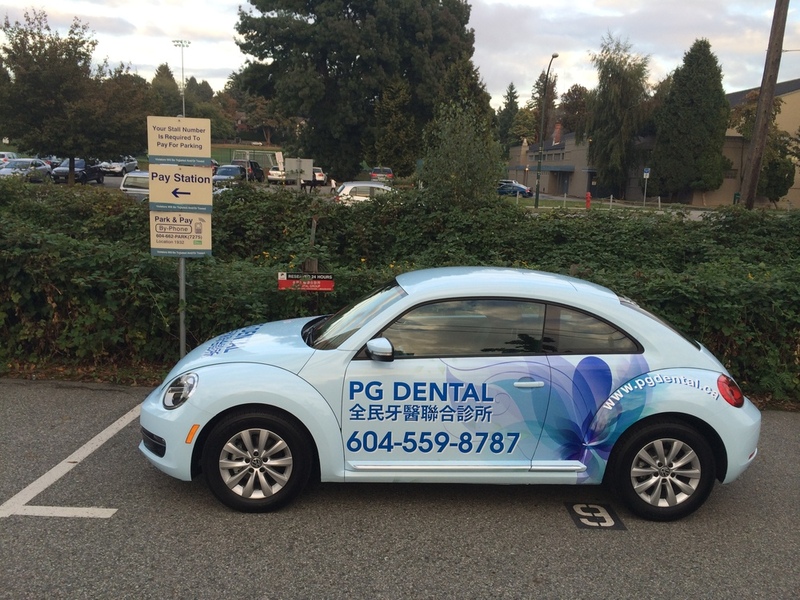 We wrapped up this car nicely for the great people over at PG Dental. 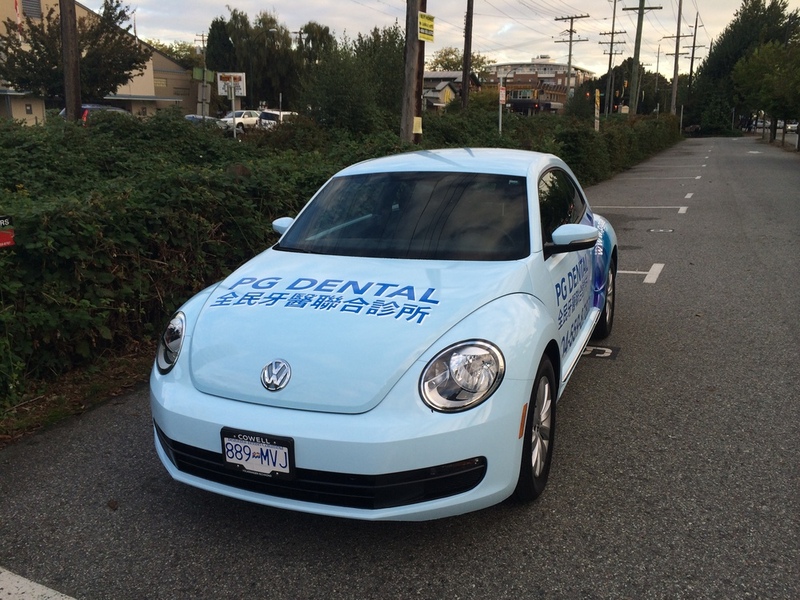 They are located in the Kerrisdale area in Vancouver and offer excellent dental services with the most advanced technology! They also speak many languages that include, Chinese Mandarin, Cantonese, and English. 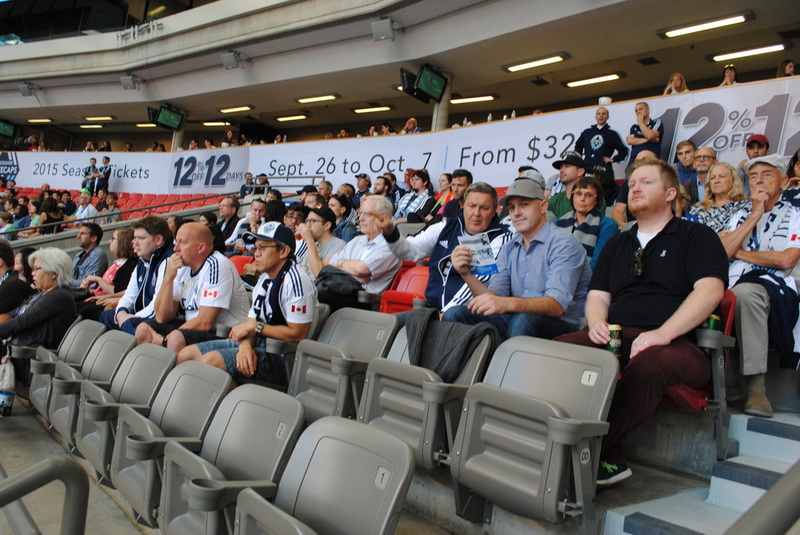 Vancouver Whitecaps 12% off for 12 days! OGIE OGIE OGIE, OY OY OY!!! One of the coolest projects we have been lucky enough to work on as of yet! 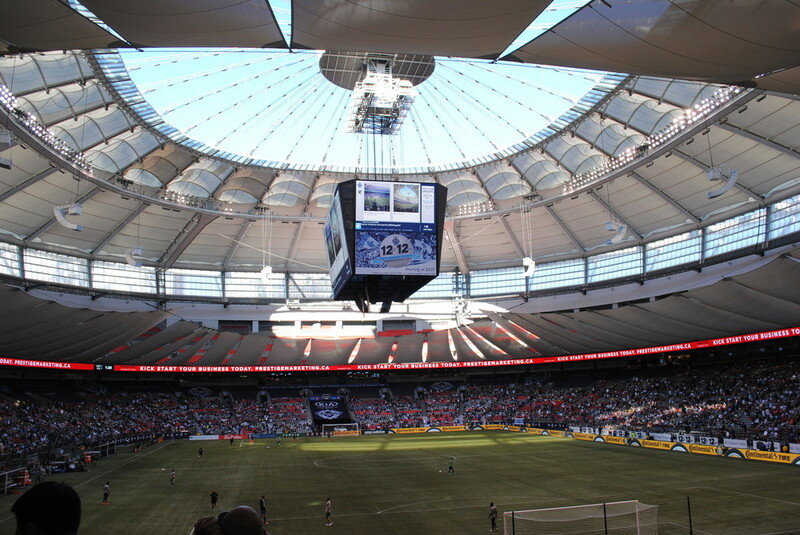 We did a ton of printing and installing for Vancouver's own MLS team. 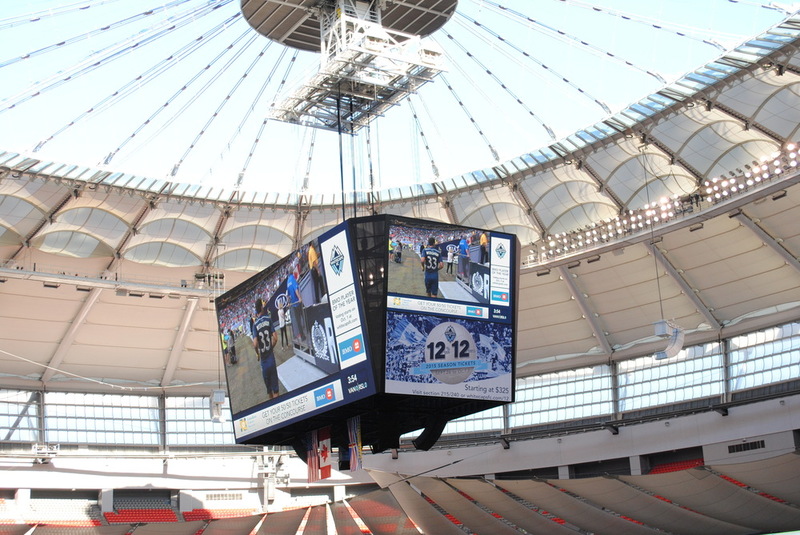 I'm sure you have seen a ton of marketing for the 12% for 12 days campaign on TV, at BC Place and/or around town. The Vancouver Whitecaps have a 12% off for 12 days campaign running right now and we got to work on the printing for them! Check out all the stuff we did for them. The BIGGEST (and in our opinion the coolest) part we did is a 20ft high x 30ft long print on the video board. You will see it located on the end zone sides of the board. We did some double sided bunting flags. Concession awnings wrapped with the ads. 3" stickers that you will find on merchandise and other things throughout BC Place. 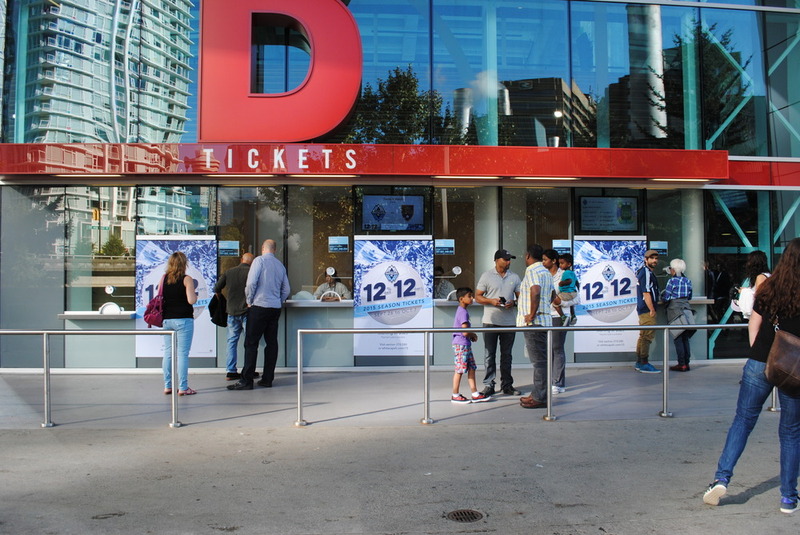 Many other posters and signage all over BC Place inside and even some outside are all printed and installed by us! 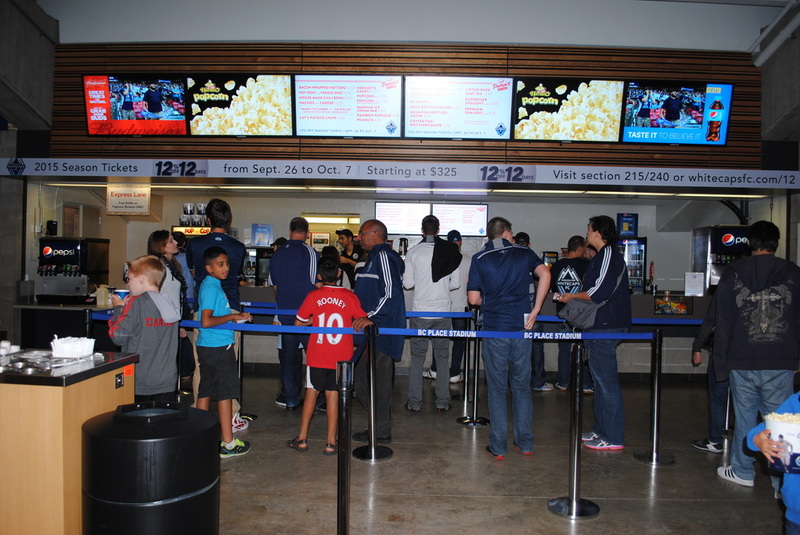 To sum it up we did 54 pillars, 22 concession awnings, outdoor ticket sales box offices, and 1 giant video board. We did this window for Volcom at Pacific Boarder - Fall session. 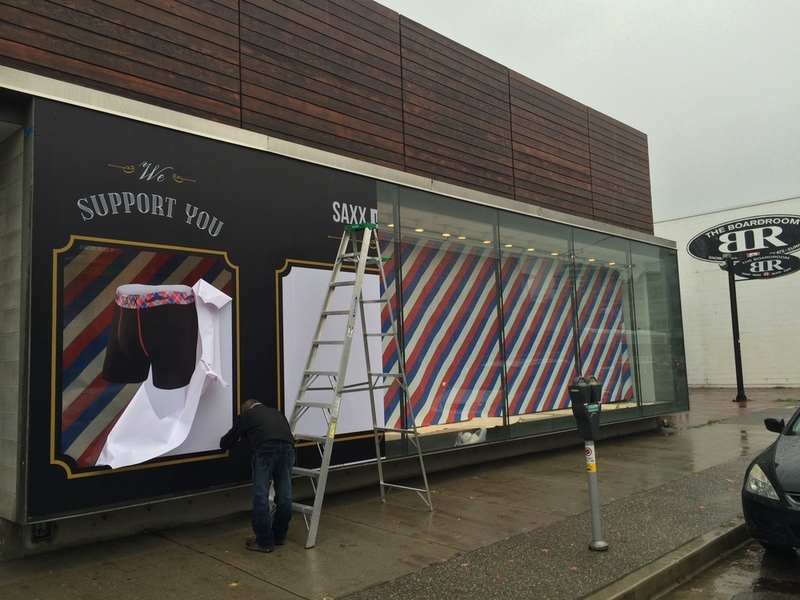 It's up at their West 4th location in Vancouver. It consists of a banner backdrop and cut vinyl logo. We wrapped a shipping container that will be used as the remote control base for unmanned submarine robot that will drill into the ocean floor at the bottom of the Pacific Ocean. That's right, it's going to the bottom of the sea! We did some metal signs which we had to make sure didn't rust due to the seawater. Just knowing that this was going to the bottom of the Pacific Ocean made it such a cool project to work on. 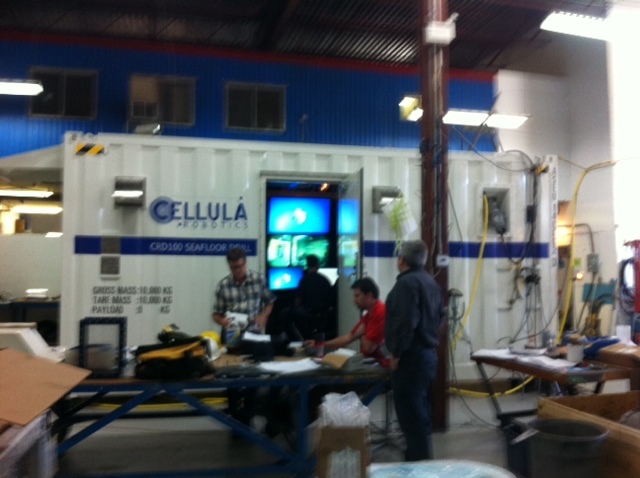 There's a blue strip going around the entire container and some decals and logos placed on the container as well. All printed and installed for them by us!